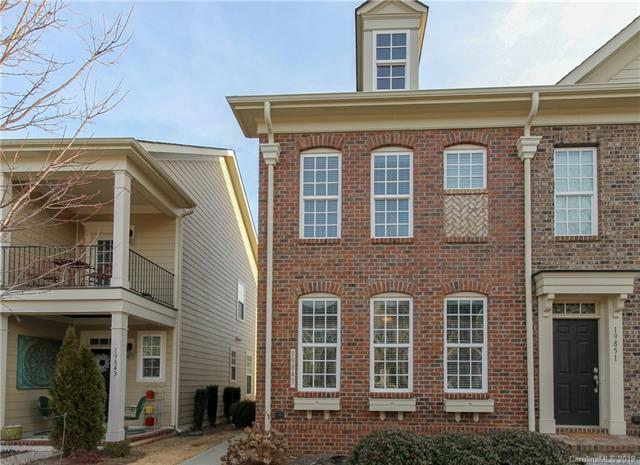 End unit brick townhome with very popular Fenton floor plan featuring a side entrace. This home features wood flooring on the main level with open floor plan and half bath. Stainless appliances and granite counters. Ensuite bed/baths on upper level. Refrigerator, washer and dryer convey. Fenced courtyard with detached 1-car garage from alley. Antiquity features walkability to Harris Teeter, shops and restaurants. Community pool and walking trails.